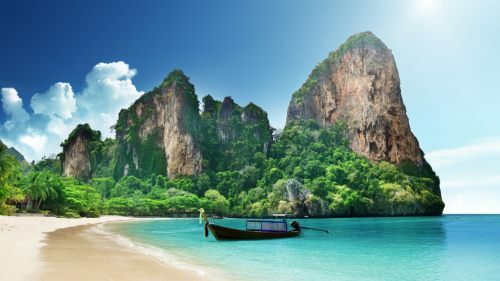 Air China is showing Toronto to Bangkok, Thailand (BKK) flights for $836 CAD roundtrip including taxes. 2. Click through to the Air China website. To use this code, you'll need to start your search from the main page of the Air China website. If you're sent to the Air China website from Kayak, you'll be sent 'too deep' into the search to be able to use the promo code. Just take your destination and dates, and start a search from the main page of the Air China website. Where to stay in Thailand, the Philippines, Vietnam, or Singapore ? The following AirBNB links will lead you to some great deals on places to stay in SE Asia for under $60 CAD/night for 2 people. toronto, yyz and flight deals. 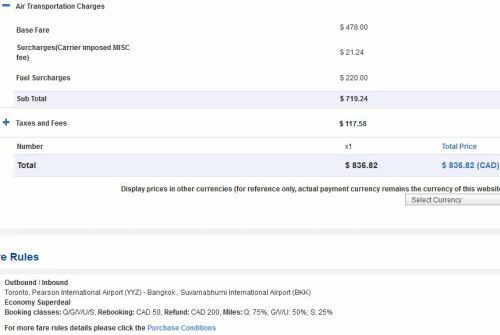 One Response to "Toronto to Bangkok, Thailand - $836 CAD roundtrip including taxes | Philippines for $783, Vietnam for $815, Singapore for $844"